One of the questions that comes up a lot is "what's the best way to make Disney Dining Reservations?" That's a really good question. There are three answers. Do it yourself, call Disney, or let someone do it for you. Sounds simple doesn't it. There really are some amazing restaurants at Walt Disney World. A lot of them require reservations. 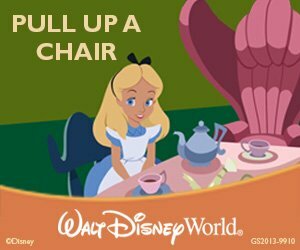 (Disney calls them Advanced Dining Reservations or ADR's.) Let's take a look at how to get your reservations for some really great experiences. There are 3 ways to make Disney Dining Reservations, or as Disney calls them Advanced Dining Reservations (ADRs). They are call Disney, go on the Walt Disney World website or let someone else do it for you. Sounds pretty simple. To call, you dial (407) WDW-DINE. Simple. A nice person will answer the phone and take your reservations. They will even send you an email confirmation if you leave an email address. Pretty easy. You can call Disney Dining from 7:00 am to 10:00 pm Eastern time. It's pretty easy to use the site. Just point and click and fill in the blanks. The easiest way to make your reservations is to let someone else do it. Yep, let someone else do it. Dad recommends you turn your troubles including your dining reservations over to Destinations to Travel. Not only will they make your hotel reservation, but they will help you choose the best restaurants and then they will get up at 6:00 in the morning and make those reservations for you. Aren't they special? (They really are. You should meet these people. They are amazing.) Give them a shout today. Making Advanced Dining Reservations is a 3 step process. First you choose your restaurants, then you fill in your calendar, finally you make your reservations. Simple. Right? Disney Dining Reservations are free. OK. That' s not entirely true. In 2011, Disney implemented a new policy to cut down on the number of no-shows at the restaurants. At some restaurants, you will have to leave a credit card to make an ADR. If you don't cancel your ADR within 24 hours of your dining time or don't show up at all, your card will be charged $10 per person. No-shows at these dining experiences will not receive a refund. It's really pretty easy to make Disney Dining Reservations. However, the hours can be pretty insane depending on where you live. Hey, the easiest way is to let someone else do it.